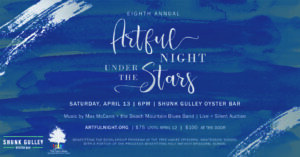 Join us for the Eighth Annual Artful Night Under the Stars. 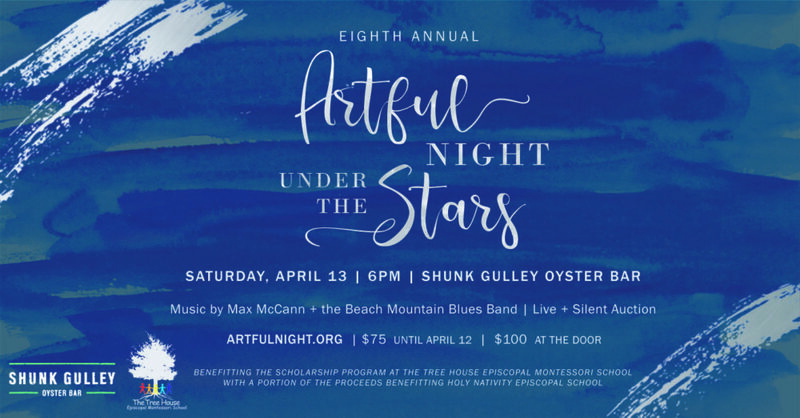 The fun will take place Saturday, April 13, 2019 from 6:00 – 11:00 PM at Shunk Gulley Oyster Bar with proceeds benefiting The Tree House Episcopal Montessori School’s scholarship program and Panama City’s Holy Nativity Episcopal School. The Tree House Episcopal Montessori School admits academically qualified students of any race, color, national, and ethnic origin to all the rights, privileges, programs, and activities generally accorded or made available to students at the school. We do not discriminate on the basis of race, color, national, and ethnic origin in administration of educational policies, admissions policies, scholarship and financial aid programs and other school-administered programs. Christ the King Episcopal Church Our church. American Montessori Society desires to define Montessori education as it is practiced in AMS accredited schools, taught in AMS teacher education programs, and articulated in AMS sponsored publications, symposia and conferences. The Montessori Method Creates beautiful educational environments that foster creativity, independence of thought and action, a positive self-image, joy, and a spirit of service to others and to the world. Montessori at Home Montessori Materials & Learning Environments for the home and the school. 30A-opoly The Tree House Episcopal Montessori School has created the 30A-opoly board game as a fundraiser to support early childhood education efforts in Santa Rosa Beach, FL. Montessori Services Gives parents access to many of the same child-size items children use at school, enabling children to participate in the home environment with the same ease and success they enjoy in the classroom.